There was deception aplenty in the first of four Wavelengths shorts programmes at the 2013 Toronto International Film Festival. 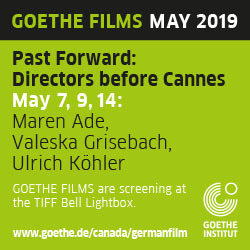 Entitled Variations On…, the programme foregrounded the formal repetitions and deviations pervading each of its five works, the title’s ellipsis suggesting that the audience’s requisite curiosity be matched by an equally imperative complicity in accepting each film’s distinct illusions. It’s easy to forget just how much smoke and mirrors there are behind the various constructions, durations and aesthetics that constitute the cinematic avant-garde; here, we are reminded just how much mystified delight can be derived from having the proverbial wool pulled over one’s eyes. The programme began with a familiar yet nevertheless astounding bag of tricks, demonstrated by David Rimmer in his classic Variations on a Cellophane Wrapper. 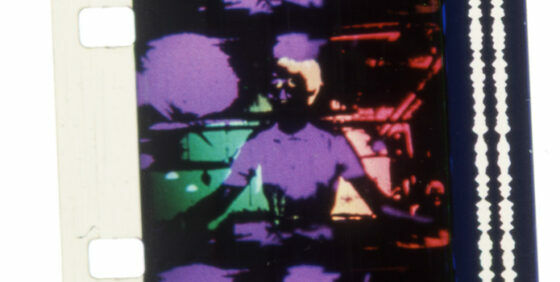 Recently restored by Mark Toscano as part of a larger effort to preserve Rimmer’s body of work, the film’s looping image of a factory worker waving a large piece of cellophane before the camera is subjected to a process of abstraction and reification through a number of drastic shifts in contrast, flickering, colour tinting, and negative-on-positive overlay, all set to a pulsing proto-synth score by Don Druick. The reflection of the factory’s lights off of the thin plastic sheet at first disrupts the clarity of our focus on the young woman handling it, and eventually obscures the female subject beyond recognition as Rimmer’s photochemical processes take over. This material, at once translucent and reflective, ultimately becomes a fragmented beacon that persists as the only constant in a realm of variation. Hot on the heels of Rimmer’s Variations came another loop film from Luther Price, Pop Takes. A catwalk sequence occurs and recurs in a studio replete with silver reflective fabrics, spotlights, smoke machines and polka-dots, as models twirl before and run toward a dollying camera with subtle variation through takes one, two, three, etc. As a result of his willingness to work with “dirty” materials, Price can be considered a cinematic re-animator, resurrecting decaying materials by reframing what has been exposed through decomposition and neglect. In this case, Price loops his negative images ad nauseam, highlighting their strictly commercial agenda and exposing, through reconstruction, the decidedly shallow deceit behind such an elaborate, materialist charade. 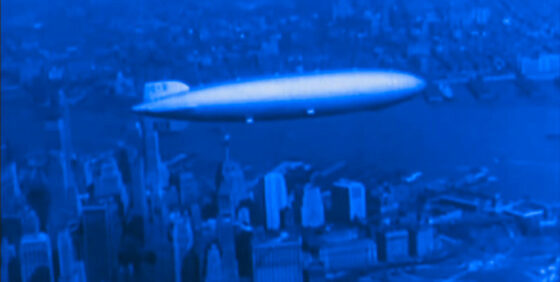 In an almost (but not entirely) dissimilar bout of exposition, Kenneth Anger’s Airship triptych finds the underground’s most infamous wizard appropriating and colouring newsreel footage of Nazi zeppelins cruising through clouds and hovering over sprawling metropolises. Undercutting the sheer wonder of these airborne marvels by the dark knowledge of their makers’ catastrophic intentions, Anger further undercuts that ominousness via the wacky, cloudy credits at the beginning of each film, bringing all these strains together in his conflagratory conclusion. 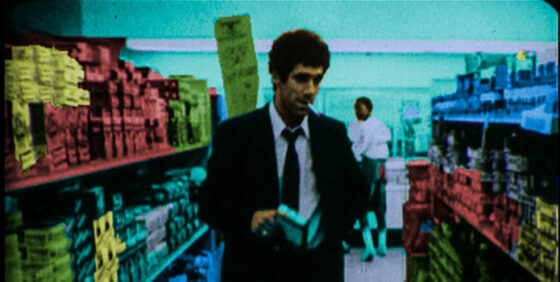 Andrew Lampert’s El Adios Largos proved the most deliberately deceptive of the programme’s five films. Creating an apocryphal history of the fate of Robert Altman’s 1973 gumshoe classic The Long Goodbye, Lampert submits that the film’s negatives and release prints were destroyed in the mid-’70s, relegating it to the status of a “lost film.” The only existing copy (not actually), acquired by Lampert through an ad in a trade magazine (again, not actually), is an abbreviated, black-and-white 16mm copy, with the dialogue dubbed in Spanish (and, just so we’re clear, not actually). Lampert then initiated a photochemical restoration of the film, only to have his efforts stifled by a lack of funding and, more crucially, a complete lack of technical savvy as to how to actually preserve a film print. Turning instead to digital restoration methods, Lampert imprecisely tacks on colours drawn from what he estimates to be the film’s original hues, which results in large polygons alternately drifting through or freezing within the frame. It doesn’t take a shrewd sleuth to cut through the layers of fallacy and ineptitude that Lampert imposes upon the project and himself, nor does it take long to recognize that Lampert has created a singular work of art that at once inspires and confounds our notions of what film restoration can or ought to be. Closing the programme, The Realist finds Scott Stark using a self-made stereo camera to create an entrancing fantasy that vivifies storefront mannequins. Setting the film to Daniel Goode’s composition “Tunnel-Funnel,” Stark aims to go full-blown Gepetto on this one, utilizing his familiar trill editing (i.e., rapidly alternating between frames, as seen in earlier works such as Traces and Bloom) to animate his plastic models into twitching, quivering entities. Intercut between the images of these mannequins are countless shots of clothing and perfume displays, which are gradually overtaken by organic forms that only exist outside of the department store’s controlled environment. As the video progresses, these surrogates are imbued with increasing pathos; there’s implicit loving and longing amidst all the leather and leggings. The barrier that prevents the realization of the central figure’s desires is the window display, a reflective boundary that distorts the perceptions of those looking in as well as those looking out. Yet once emancipated from its transparent prison, Stark’s protagonist is brutally disembodied as the film cuts between images of plastic limbs separated from their torsos and shots of dense foliage; sadly, once illusion gives way to organic reality, this vessel of desire ceases to be whole. Ultimately, The Realist is a dizzying and magical melodrama that links the emptiness of consumerism with the tragic fate of those plastic forms that inertly persuade us to desire. Wavelengths curator Andréa Picard could be seen to be in collusion with this band of tricksters, given her sly assembly of works that attempt to confound our notions of representation and materiality. 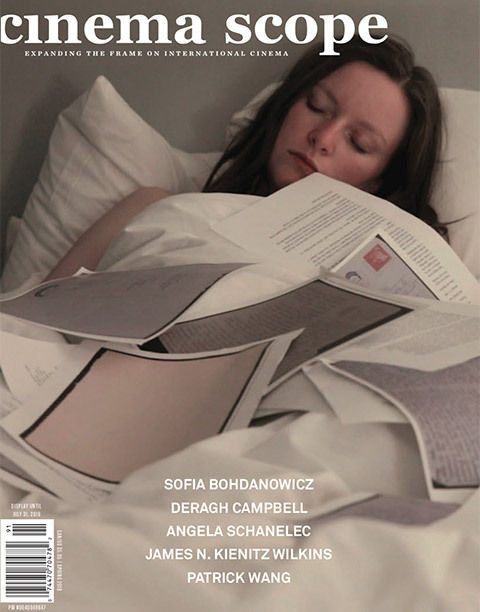 But that’s not the case: rather, here we have a selection of films that use deception as a means towards transparency, all the while providing subtle clues that allow us to uncover the truth behind these elaborate illusions.